Unlike the Mail app for iPhone, the official Gmail app for Android phones lacks an obvious way (like, say, a pair of arrow keys on the actual message screen) for navigating from one email directly to the next. Given that, I’m guessing plenty of Android users—hey, myself included—have been repeatedly tapping their way back to the inbox whenever they’re done with one message and want to skip to a new one. Well, guess what: there’s a much easier way (as I belatedly discovered) to jump directly from one message thread (or “conversation,” as they’re called in Gmail) to the next. Specifically, you can swipe from left to right to skip to a more recent thread, or from right to left for an older one. Pretty clever—so clever, in fact, that I’d completely missed it until now. Want to jump automatically to the next message after deleting or archiving the current one? 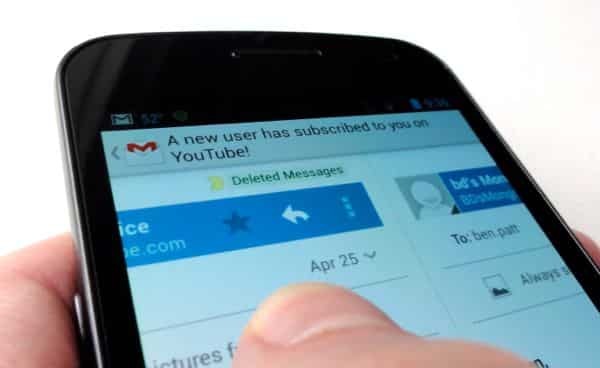 You can then choose what happens when you delete or archive a message: you can advance to a newer message, go back to an older one, or return to the inbox.